“The nature that was ornamented by the Neo-Realists and the Neo-Impressionists was torn to pieces by Futurism. 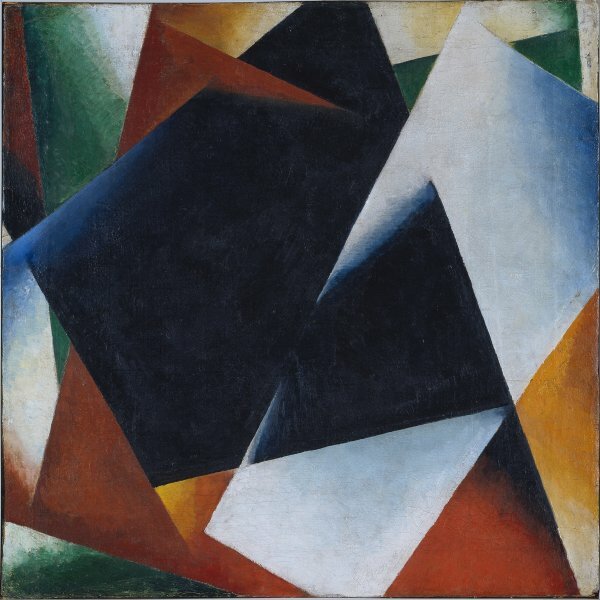 Suprematism has carefully painted these benumbed forms with different colours and presents them as a new art, ” wrote Kliun in 1919. Ivan Kliun always remained faithful to his interest in depicting abstract forms and, unlike Suetin and other Suprematists, never turned towards the applied arts. 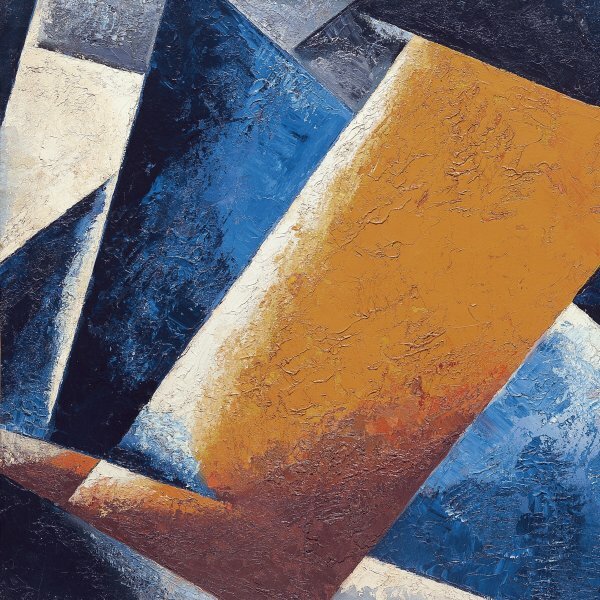 In 1907 he had met Kazimir Malevich, who painted his portrait in 1913, and collaborated with him in 1916 in establishing the Supremus group and the magazine with the same name. However he soon eschewed the Suprematist models and developed a particular interest in the French purism of Léger and Ozenfant. 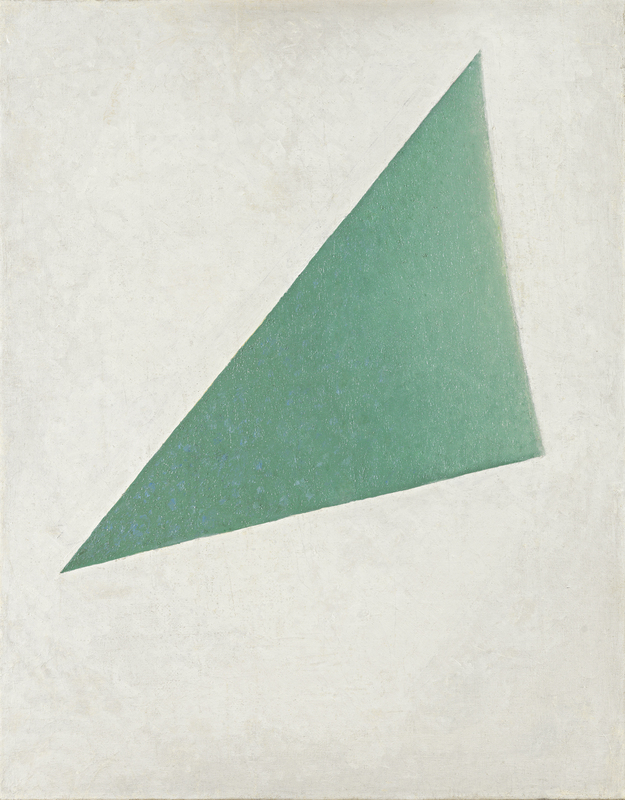 Without abandoning the geometric structures of Suprematism or its plastic dogma, according to which independent geometric surfaces floated in space creating a sensation of the infinite, Kliun’s painting evolved towards compositions in which the essential element was the effect of luminescence. The present Composition, executed in 1917, attests to the artist’s pursuit of a rational explanation of “colour, form, light and texture” through contrasts of light.